Maurie D. Yager, age 86 years, passed away peacefully on Tuesday, December 26, 2017. Mr. Yager was born on May 15, 1931, in Indianapolis, IN. He graduated Lawrence Central High School, completed his undergraduate studies at Indiana University and University of Wisconsin, and earned his Juris Doctorate from Tulane Law School in May 1955. He proudly served his country in the US Navy as a Lieutenant Commander for 15 years. Mr. Yager was a former Admiralty Attorney and Partner with Terriberry, Carroll and Yancey and member of the Louisiana State Bar Association for over 60 years. He was admitted to practice before the United States District Courts for the Eastern and Western Districts of Louisiana and the United States Courts of Appeal for the Fifth and Eleventh Circuits. 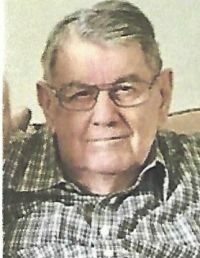 He was a past secretary treasurer of the Optimist Club, member of the Bienville Club, an avid traveler and family man with a keen sense of humor. Mr. Yager is preceded in death by his parents, Maurie B. Yager and Helen King Yager. He is survived by his beloved wife of 62 years Joanna Corbeau Yager; children Maurie Leon Yager, Barry Lee Yager (Amy Miller), and Pamela Leigh Yager (Richard Penfil); brother Milan “Skip” Yager; grandchildren Caroline, Catherine, Maurie E., Emily, Abby, Elise, Emma, and Simon; and 7 great grandchildren Aiden, Liam, Mason , Joanna, Penelope, Ella, and Josephine. He will be deeply missed by his family and friends. Private services were held for the family at an earlier date. In Lieu of flowers, please consider a donation in honor of Mr. Yager to KeepMemoryAlive.org.